An injury or trauma causes swelling in knees. It occurs when excess fluid build-up around knees. It can happen in conditions such as sports injury or vehicle accident. Swollen kneed possible if you fall, and all pressure goes on knees. A knee joint is a complicated collection of large and small bone. These bones connect with muscles, tendons, and ligaments. The tendons and ligaments help bones to bend or move your legs. So as you twist, your knees squat and come back straight in its original shape. A thigh bone known as the femur is a top bone of knee joints. The lower joint consists of tibia or shinbone. The patella or kneecap join both tibia and femur bones. The tissues call cartilage helps to cushion the knee bones. This tissue helps the bone to prevent from the force. A knee has four ligaments which act similar like a rope to hold bones. The tendons combine the muscles to support the knee joints with upper and lower bones. Usually, the swollen knees heal with some medication for healthy people. But, continues swollen knees may need checking fluid sample. It will help to know the injury and infection. Even you may need x-ray imaging or scan in severe condition. I am going to share the potential causes of swollen knees. Keep reading how an injury affects your knees and why fluid build around knees. Severe injury may cause you bleeding into the knees joints. It is the leading cause of swelling, bruising and stiffness. A knee trauma is call haemarthrosis, and it requires immediate medical attention. You need to consult a doctor if you feel severe pain and your bone break down. Knee osteoarthritis is a common type of arthritis. It is a condition in which knee’s cartilage (cushioning) disappear. The absence of cartilage makes upper and lower bones to rub each other hard. It may result in swelling, reduced ability for movement and bone spurs formation. Putting more stress on knees while lifting or moving in specific occupation causes osteoarthritis. Constant use of knees may cause swelling. Athletes, who involve in Long distance running, soccer, tennis may get osteoarthritis. If you have weak muscles, then consider regular exercising to avoid the risk. Obese people are more likely to get swollen knees. Women have more chances to develop this disease, who have extra 4-5 pound weight around knees. Other cause may include rheumatoid arthritis and metabolic disorder such as hormones overgrowth. The body is full of thin and tiny fluid-filled sacs called bursa which helps to protect the joints. When your knee has inflammation, bursa gets filled with excess fluid. This condition causes swelling or water around knees. Constant pressure on knees commonly causes bursitis. It may happen because of serious injury. Bursitis problem occurs in overage people such as 40 years old and above. As your age increase, your knee’s tendon becomes less tolerating. It loses its elasticity and more likely to tear fast. An infected bursa with a microorganism causes inflammation. The bursa fluid turns in to infected pus. The swollen part of knees may look red and feel hot. If this condition continues to happen, the patient should see immediate medical help to prevent septic. Specifically, gout affects joints such as the big toe, knees, ankle, wrist, and hand. Often a gout attack occurs in the middle of the night. You may feel the fire sensation in your big toe or knees. The affected joint part becomes hot and intolerable. The gout disease found in men more than women. Make sure you are getting the right treatment. Why because improper treatment can make the condition worse. Chronic gout may occur when you get the gouty attacks many times in a year. If gout is left untreated, it may result in destruction and decay of the knee bones. Pseudogout is a calcium pyrophosphate deposition disease. It occurs when calcium crystals accumulate in the synovial fluid. Synovial is lubricant fluid in the joints. The crystal formation causes pain and inflammation. Pseudogout commonly affects the knees and elbow, ankles and wrist. This disease symptom may occur for a few days to many weeks. There is no treatment for pseudogout, but you can reduce the pain and inflammation. Other causes of pseudogout given below. The pseudogout also causes swollen knees. 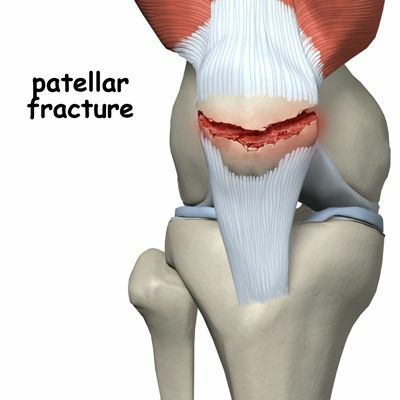 Patellar is also known as kneecap fracture. It is a break in the patella. Patella is a small bone in the kneecap, which locates at the front knee. The kneecap protects your knees joints. Falling directly onto your knees is very unsafe and creates injury. Knees may also get injured because of a vehicle collision. A patellar fracture is a severe injury. It makes hard to straight or moves your knees to walk. The individuals with osteoporosis condition are more likely to fracture just by stepping. The patellar fracture also causes swollen knees. Rheumatoid arthritis is an immune system disorder. In this disorder, the immune system attacks its cells by mistake. It causes swollen knees and damage to the whole body. The joint damage can happen on both sides of the body. If one joint has rheumatoid arthritis, then it will attack another knee also. The symptoms appear in rheumatoid arthritis are listed below. The symptoms may come and go in the initial stage. So, consulting your doctor is better prevention. A baker’s cyst is a fluid-filled cyst backside of the knee. It is also called a popliteal cyst. It makes knee joints tight and reduces movements. You may feel extreme pain when your stretch or bend your knees. This disease happens due to another injury that affects knees joints such as cartilage and arthritis. It also causes swollen knees. Treatment can reduce the problem. In spite of the cyst doesn’t cause permanent damage; still, it can be painful. It may unusually lead to rupture of the cyst. The fluid of the ruptured cyst flows down the calf and create infection around the ankle. 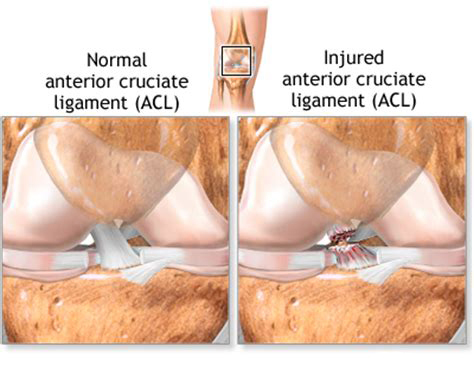 A pair of crossed ligaments called an anterior cruciate ligament. The diagonal tears of the front knee are anterior cruciate ligament injury in the knees. It is a severe condition, and your doctor may recommend surgery. Athletes are more likely to get such injuries who participate in soccer or football. However, inappropriate landing on knees from a jump or quick knee position change causes a tear and swelling in the knees. It is a type of arthritis. Any infection triggers this disease in the body. It can be a bacterial infection or a sexually transmitted disease. It is considered an autoimmune disease accompanied by a group of disorders which causes inflammation. The individual with reactive arthritis often experiences limited lower activity with large joints. This disease develops in men more than women. Identifying this disease in women is difficult. In this disease, you can notice the extreme joint pain and swollen knees. Cancer can happen in any bone of the body. Mostly it affects the large bone of hand and legs or pelvic bones. A bone tumor is more common than bone cancer. You may get the symptom such as swollen knees, bone pain, weight loss, and bone weakness. The bone tumor is an abnormal formation of mass or lumps in bone cells. The growth of abnormal cells replaces the healthy tissues. The dull pain starts in the affected area. The pain may differ from moderate to severe. Even some pain may wake you up in the night. When you are unable to identify the tumor, you may feel the pain like injury or fracture pain. It limits the bone strength. You may get swelling near tumor affected area. The symptoms of swollen knees may differ from person to person. It depends on the affected knee and the cause of injury. Every reason listed above in this article make it difficult to move the leg. Let’s have a detailed look at the symptoms. Stiffness in the knees is when you feel difficulty in knees motion. You may notice the loss of motion range in the knees. Stiffness reduces your leg’s flexibility and stability. It prevents you from moving your knees freely. It may create difficulty while bending and straightening knees. But you may walk with less pain. Stiffness in the knees may affect your lifestyle. Therefore finding a cause of stiffness will help to get better treatment. Redness occurs in the knees when you are suffering from Bursitis. Redness symptoms appear due to the inflammation caused by injuries or tearing of knees muscles. In some cases, redness in swollen knees is a symptom of circulation problem. Swollen knee caused by an injury or infection inside the knee. It reduces knees function. The loss of function may go or appear again. The knee function loss entirely depends on the severity of the knee problem. Some arthritis problem cause total loss of knee function. The infection in ligaments or tendons automatically reduces the strength. The strength loss in knees will result in an inability to move or stretch the knees. The swelling appears for 1 – 2 after an injury is a minor problem, and it will decrease on its own. Continued swelling with redness, heat, and pain is a symptom of infection that needs immediate treatment. Who will get affected by the symptoms of swollen knees? Most probably people with age over 50 get affected. Anyone can get affected if have an injury. Athletes who are having heavy training get swelling. People who have done the exercise in a wrong way will get swelling. When the swollen knees symptoms occur? Swelling occurs after an injury. Overuse of knee bone in training or exercise. It will help to locate the disease affected area. X-ray can show you the dislocated and broken bones and fractures. Ultrasound will help to show the disorders of ligaments and tendons. MRI test can detect small injuries of the ligament, soft tissue, and tendon which don’t appear in x-ray. Blood test: This will detect stem from bleeding disorder and injuries. What do you need to prepare before meeting your doctor? List the allergies if you have any. The treatment of swollen knees depends on the condition of infection, bone disease, and knee problem history. For regular swelling doctor may prescribe pain medicines. The pain medications may relieve the inflammation and burning sensation. In the sever condition fluid need to remove from knees joint. The procedure will require the following things. The procedure involves fluid removing from knees join to relieve the pressure. Your doctor inserts a corticosteroid into the joint and treats inflammation. Your doctor will insert a lighted tube by a small incision into the knees. 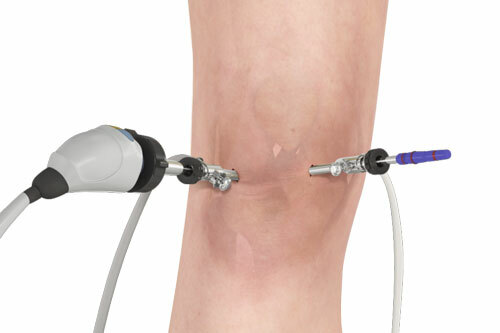 A tool attached to the arthroscope helps to remove damage and lose tissues from knees. If you are unable to put weight on your knees, then you will require to replace the knee with surgery. Taking good care of yourself is much needed when you have swollen knees. Skip lifting heavy weight till your knees get normal. To relieve the pain and swelling in your knees apply an ice pack for 15 – 20 minutes every 2 hours. Take pain to relieve medications under the prescription of your doctor. It will help to avoid other complications of autoimmune system attack.